As mentioned in an earlier post, I went for a 3D2N yoga retreat which was held in Ban Sainai Resort (you can read my review here). My friend and I extended our stay by 2 more days and instead of continuing our stay at Ban Sainai, we decided to move to the Red Ginger Chic Resort, which is located nearer Ao Nang Beach. The staff at Ban Sainai was nice enough to drive the 2 of us to Red Ginger, which was about 15 minutes away by buggy. We had booked the club room and because we went during off-peak season, the room was only about S$100/night including taxes. The great thing about the club house is that it’s double storey. The day bed at the bottom looks as if it’s a proper bed but the mattress is really thin and it’s more suited as a sofa but I suppose that children wouldn’t mind sleeping on it. 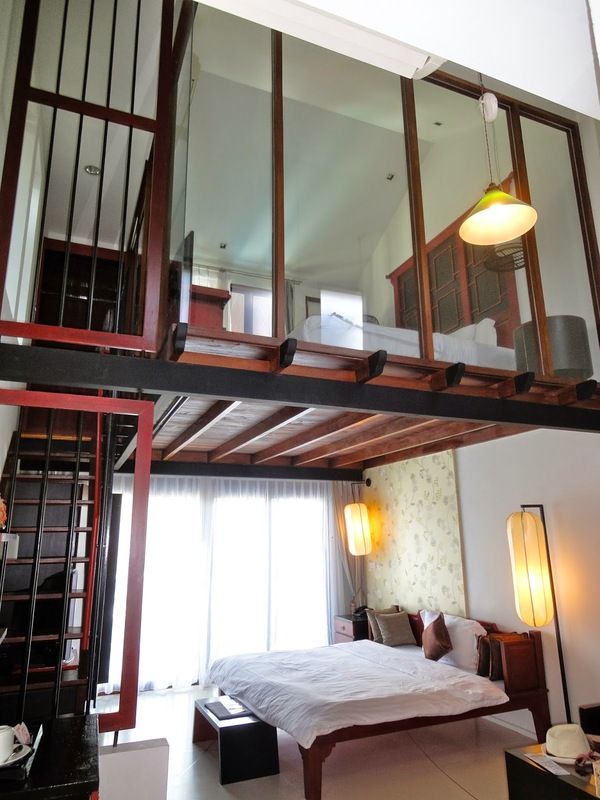 Hence, the clubroom is really good for families where the parents sleep upstairs while the children sleep downstairs. However, do note that breakfast is only for 2 adults. The pool is quite large and it is possible to do laps. 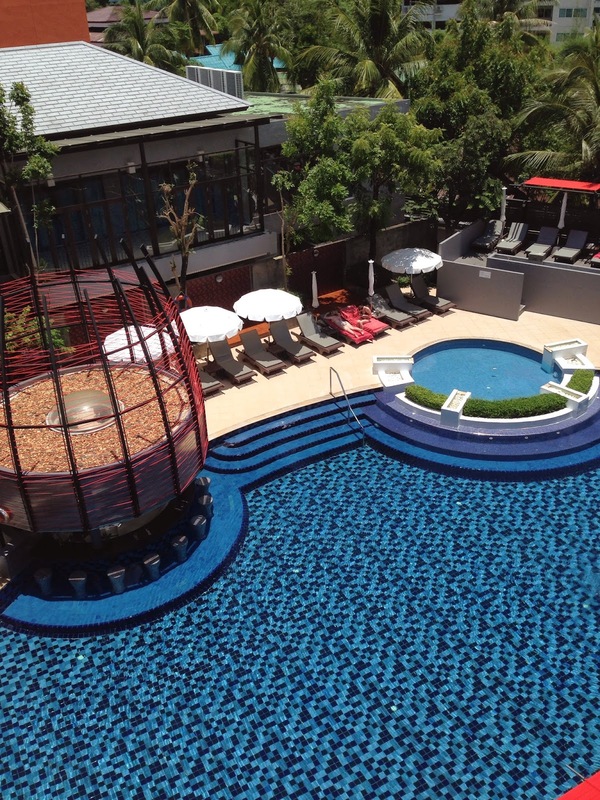 The Red Ginger Chic Hotel also has 5 rooms with direct pool access but I think it’s just a cool idea but I’m not too keen about them for safety reasons. The pool opens at 8.30am and closes at 7pm, which I think is a little too early. The bar closes even earlier! We were there at 4.30pm and wanted to go to the bar at 5.30pm but realised that they had closed at around 5pm. Wow…looks like most people go drinking along Ao Nang beach instead. 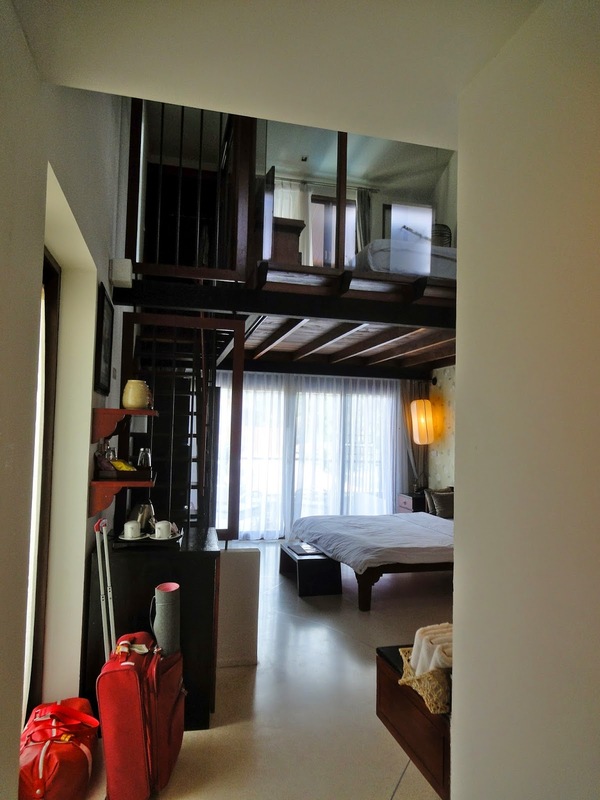 Red Ginger Chic is a very modern resort with a Chinese interior design and it kinda reminds you of a condo. As you saw from the previous photos, there were a lot of lacquered wooden furniture painted with red. What really impressed me was the extra thought given to the amenities. 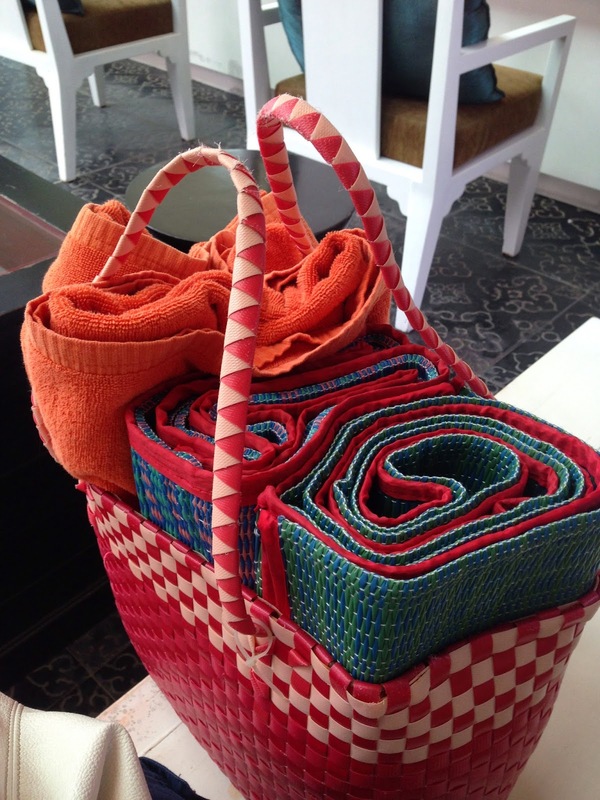 Every room comes with 2 beach mats and a basket for you to bring to the beach! You can also bring beach towels from the poolside and just return once you’re back. Feels like we’re going on a picnic! These mats don’t cost a lot (only THB 100 each; S$4) but it’s the thought that counts. 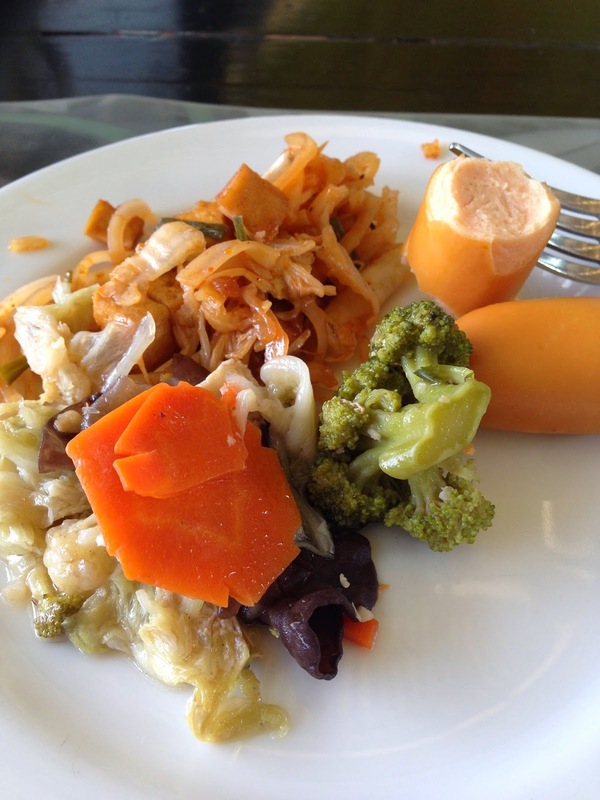 There were no such mats available at Ban Sainai Resort where we stayed previously. Red Ginger is much much nearer to the beach and we recommend going to the less crowded beach area towards the right of the resort instead of the popular left, which is more crowded and further away. Great location to good food too as it is only 10 minutes away from the Night Market where you can cheap street food. I love the airy restaurant on L2, overlooking the pool and they even bothered to decorate the side cubicles with cloth, keeping with the Oriental theme. The spread is pretty similar to Ban Sainai’s except that they don’t do as much freshly cooked items, except for the eggs. The sausages were a lot tastier and they were small so you don’t need to feel guilty about having a couple. 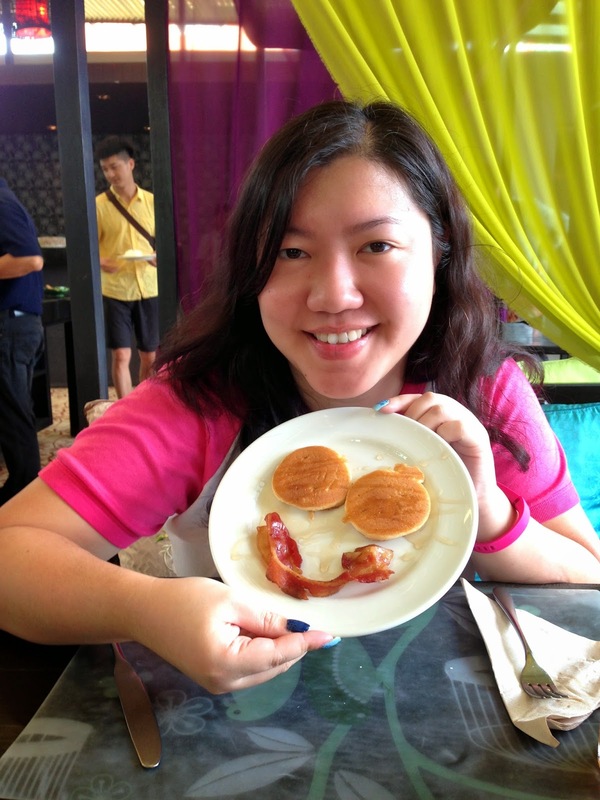 Breakfast is happy food and I love their mini pancakes. They were fluffy and small enough to give you a taster without the guilt. Pity that they watered the honey down too much and I really dislike having to swat away bees. Yup…there were a few bees at the honey and jam section. In my opinion, the restaurant is over-staffed and it wouldn’t be a problem except that most of them hovered near the buffet area and just looked at you while you grabbed your food or ordered your eggs. You would’ve thought that with so many wait staff available, your plates would’ve been immediately cleared and your tea/coffee refilled but alas, the clustering of them at one end meant a lot of ‘statues’. That said, you can’t really fault them when they do their job because they’re all very friendly and always smiling. We really like the Asst. Manager who sits at the reception because she’s really helpful. When we found a cheaper half day tour and asked her to help us bargain with the original full day tour that we booked, she was more than willing to help us. Also, she remembered us the next day and told us that we were very lucky that the weather was in our favour and she assured us that we’d get to see a lot of fish when snorkelling that day. 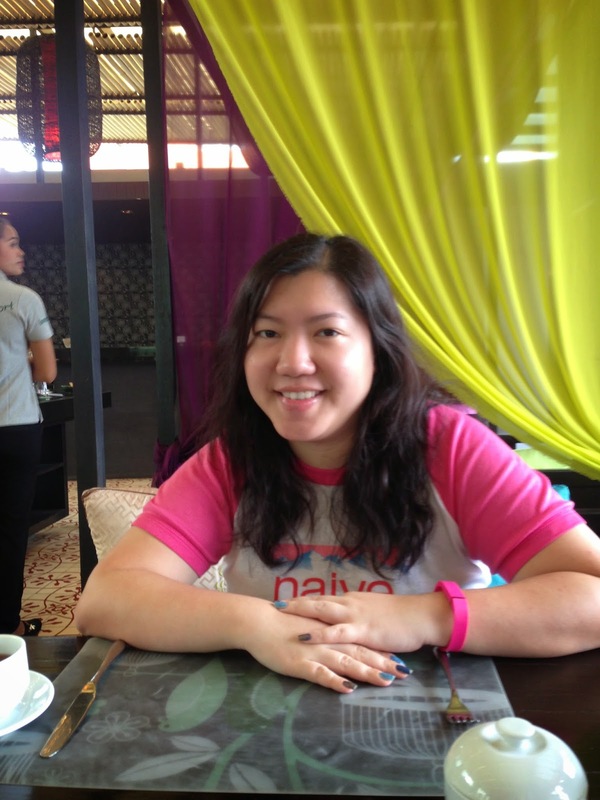 Now…if I were to go to Krabi again, which resort would I stay in? That’s a real tough question. I really like Red Ginger because it’s nearer the beach and going back at 10pm feels safer because it’s well lit and near the main road, compared to Ban Sainai. If I wanted to relax and be nearer to nature, Ban Sainai is really a better resort. Both are good for families because both are located in the quieter areas.